During a campaign stop in Obama's final visit to Colorado, Barack Obama said to the small crowd, "you know me." Yes we do know him and we know after four years of misery, a declining America, failed economy and a Presidency built upon one lie after another, yes we know him and we don't want another four years of Barack Hussein Obama. He lied and Americans died in Benghazi, Libya. He lied and covered up his lack of protection for Americans in Benghazi and four Americans are now dead because of his ignoring their plight as he watched the attack that killed them before going to Las Vegas to party with Beyonce. He lied to the American people in 2008 as he promised to cut the deficit in half and spent out country into near bankruptcy with trillion dollar deficits that if left unchanged by reelecting him will remain so for another four years and more. He told voters in 2008 the National debt of 10 trillion dollars was un-patriotic, His answer to America was to increase the debt by more than 6 trillion dollars, more than every President from George Washington to Bill Clinton COMBINED! He spent his entire first year doing nothing but pushing a government take over of health care that came to be known as Obamacare not once listening to the American people who said they didn't want it and in a forced vote that was held on Christmas Eve when no one pays attention to what happens in Washington because of the Christmas holiday, he and his party passed this nightmare and forced it down the throats of the American people who STILL don't want it. He passed a $1.2 trillion dollar, "stimulus," bill that he promised would reverse unemployment down to 5% and instead increased to above 8% with actual unemployment closer to 15% and by only fudging the numbers to help his campaign for reelection in now 7.9% in the final day before the 2012 election. 25 million Americans need work and the only people who were helped by his failed stimulus are Unions who do nothing to help unemployment because their practices kill business. He said he would restore American respect throughout the world and proceeded to visit country after country apologizing for who we are claiming that our country was, "arrogant," and at fault for most of the worlds problems. As a result of his apology/appeasement diplomacy, our enemies are stronger, our allies do not trust us and yes, I will state it again, four Americans are dead in Benghazi, Libya and more soldiers have been killed in Afghanistan in four years than the preceding six as he tied their hands with rules of that stated they could not fire until fired upon in a war zone. He said he would unite Americans than began a class warfare campaign that has lasted his entire term of Office condemning success and seeking to redistribute the hard earned money made by America's small business owners who are responsible for more than 50% of the job creation in our country and who already pay most of the taxes. His answer to these hard working Americans is to whine for more taxation and more destruction of business if he is reelected. He has sat back and condoned as his supporters have used the fact that he is black to once again divide this Nation racially as it has now become racism to disagree with a President, something Americans have done since our first President but now are vilified in doing so. He has governed over a drop in median income by nearly $5,000 dollars. He has punished the middle class by destroying jobs, killing the housing market, stopping domestic energy production that has equated into doubling gas prices which has caused food, energy and other every day expenses to skyrocket resulting in middle class and poor Americans struggling to make ends meet with many going under as a result of Obama's economy. Yes, Barack Obama we know you and we know we cannot survive another four years of you. Yes, we know you and we know that because of you we are struggling every day. Yes, we know you and we once again see the country we love hated by most of the world because of your foreign policy. Yes, we know you and we watched in horror as you allowed four Americans to die in Benghazi, Libya then left them to die as you partied with your Hollywood buddies and lied to us about how it happened. Yes, we know you and we don't want a person who uses the Presidency to act as a celebrity but a person who takes his oath of Office seriously, protects Americans both at home and abroad and stands for the Constitution rather than trampling on it and using it as a door mat to destroy our Nation. 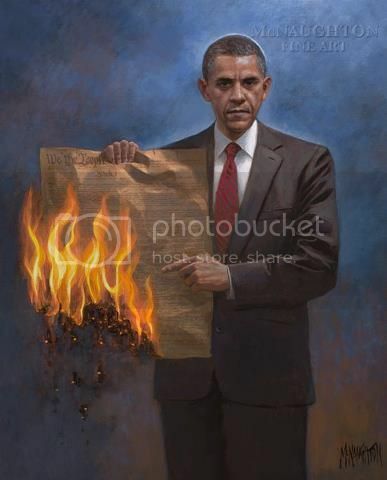 Yes, Barack Obama we know you and we fire you as we the people go to the polls and vote for American restoration, the Constitution and rebuilding our economy. We vote for jobs, prosperity and success. We vote for American exceptionalism and security and the protection of our people at home and abroad. we vote to defeat our enemies not embrace them. We vote to be proud of our President not despise him. We vote for freedom not government dependency. We vote to end Obamacare not be imprisoned by it. We vote for the future of our country and the lives of our children that you have mortgaged by your irresponsible spending. We vote to save America not to allow you to continue to destroy it. We vote for Mitt Romney, the 45 President of The United States! Thank you Jenni and thank you for the link. I would love to send you a request but the day FB went public they somehow added more than 500, "friends," to my list that I did not confirm. This put me well over the 5K limit and as such does not allow me to send or accept requests without spending hours purging my account. But I understand you can click the subscribe button which will link my wall feed with yours. Thanks again and looking forward to victory tomorrow! Yes Obama, we do know you now! Obama speaks of REVENGE as does Valerie Jarret, yet Love of Country must win out. If not, we are doomed. As such, one can almost forget the economy, the sad sack energy policy, the open disdain for America and her ideals as well as the complete dismissal of America’s allies for starters. took no action when our people were attacked and allowed them to be murdered. Then he and his surrogates lied about it! When did it become acceptable to allow our leaders to do this? Obama Lied! For love of country alone, this man must be voted out, if for nothing else than to atone for the lost lives of American citizens caused by leaders that didn’t give a DAMN!